We are reputed enterprises in this industry, offering a supreme quality Flexo Printed Bags. Offered printed bags are manufactured from quality proven material and modish technology as per the industry norms. 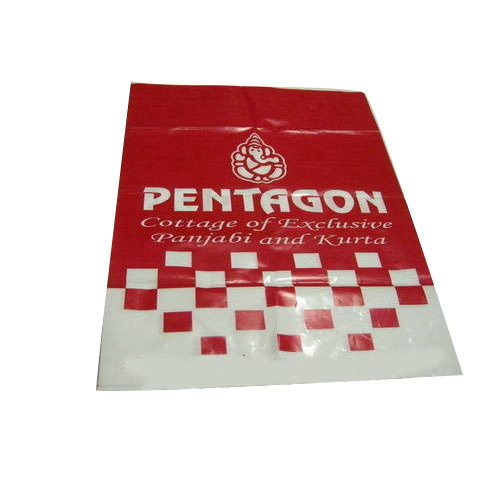 These printed bags can be availed in customized sizes in accordance with the customer’s needs. Our printed bags are checked on various parameters of quality in ahead of their final dispatch. Established in the year 1996, we, “Arihant Industries, India”, are engaged in manufacturing a wide gamut of Stretch Film, Shrink Bags, and much more. Ours is a Patnership Firm that is based at Daman (Ut) India. Nevertheless, our products find application in FMCG, healthcare and retail sectors, due to their incredible quality and high durability. These are also extensively used for food & industrial packaging. The secret lies in the quality of the raw material that we use. We procure premium raw material from trustworthy vendors of the market so as to ensure that the clients can be provided with defect-free products. We have a zealous team at our disposal that comprehends the requirements of the clients and helps us offer feasible solutions for the same. Our team efficiently carries out various activities, like keeping a proper record of the documentation and ensuring that the products are delivered in a timely manner. Had we not appointed a dexterous team, we would not have been able to satisfy emerging market needs and offer value-added services. Nevertheless, our success in the industry is also attributable to our world-class infrastructure, which is the epicenter of our day-to-day activities. We have outfitted this facility with the latest machines, so that a superior quality range can be manufactured, in tandem with the international standards.